3D Car Care is a company that strongly believes detailing should be simple, and not complicated. 3D Professional Detailing Products has been manufacturing environmentally-friendly car care products for over 20 years, catering to the needs of beginners and professional detailers alike. 3D Car Care products utilize only the highest quality ingredients to deliver unmatched performance at a price that doesnï¿½t break the bank. 3D Professional Detailing Products is largely responsible for developing the first waterless car wash back in the 1990s. 3D realized the need to conserve water more than any other detailing company at the time. 3D Car Care continues to meet and exceed all VOC compliance standards in all 50 states, and many of their most popular products are 100% biodegradable. 3D Professional Detailing Products believes that detailing should be simple, and we do too! 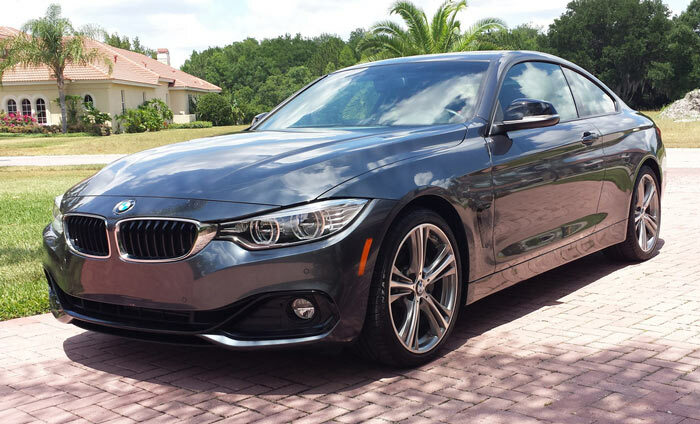 2015 BMW 435i detailed by "Custmsprty" on the AGO discussion forum. HD Speed was used to remove swirl marks and other light blemishes, while HD POXY was the icing on the cake to create crisp, clear reflections. 3D Keychain - FREE With ANY 3D Order! 3D AAT Cutting Compound 8 oz. 3D AAT 505 Correction Glaze 8 oz. 3D HD Speed 32 oz. 3D HD Polish+ 16 oz. NEW FORMULA! 3D HD Polish+ 32 oz. NEW FORMULA! 3D HD Cut+ 16 oz. NEW FORMULA! 3D HD Cut+ 32 oz. NEW FORMULA! 3D HD Poxy - Montan Wax & Sealant NEW LOOK! 3D HD Poxy - Montan Wax & Sealant 32 oz. 3D Orange 88 Citrus Degreaser 128 oz. 3D Yellow Degreaser 106 128 oz. 3D Final Touch Detailer 128 oz. 3D BDX Brake Dust Remover 24 oz. 3D BDX Brake Dust Remover 128 oz. 3D AAT Cutting Compound 128 oz. 3D AAT 505 Correction Glaze 32 oz. 3D ACA 500 X-Tra Cut Compound 128 oz. 3D ACA 520 Finishing Polish 128 oz. 3D 100% Knitted Lambswool Pad 6 in. 3D 100% Knitted Lambswool Pad 7 in. 3D BDX Brake Dust Removal Kit - NEW! 3D BDX Professional Wheel Cleaning Kit - NEW! FLEX XC3401 & 3D HD Flawless Finish Kit FREE BONUS! Porter Cable 7424XP & 3D HD Flawless Finish Kit FREE BONUS! 3D & Rupes 21 MarkII Cut, Buff & Protect Kit FREE SHIPPING! 3D & FLEX XC3401 Cut, Buff & Protect Kit FREE BONUS!